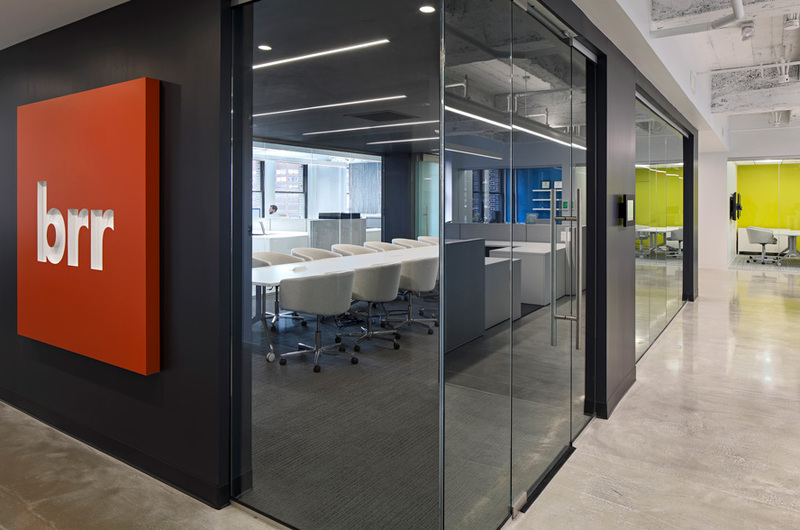 The re:bar social space in our Kansas City office transformed an under-utilized, un-leasable storage room with awkward dimensions and unappealing views into a bar and recreation area for our employees, colleagues and clients. The space was updated with design elements like hardwood floors, exposed fixtures and a warm color palette, in order to make the atmosphere more inviting. A large, custom-designed wall graphic combines elements of the Kansas City skyline with a graffiti-like effect to give the space a unique, artistic flare and local context. 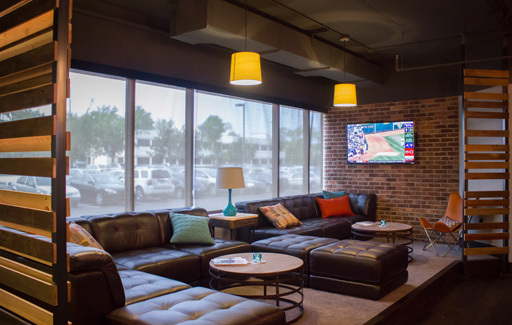 Lounge seating, games and TVs, dining areas, and a bar for after-hours events provides the final touch for this “all play, no work” environment.